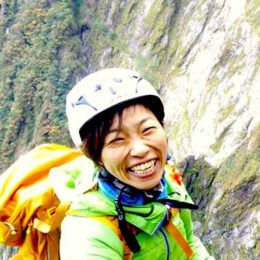 Hiroko, a JMGA mountain guide, takes you on a 1-day packrafting adventure for beginners in Minakami, in the northern Gunma Prefecture. 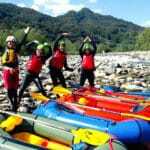 Come with me for an exciting adventure in Minakami, riding the rapids of Tonegawa river in a pack raft! Packrafting consists on using a single inflatable raft that can easily fit inside your backpack. 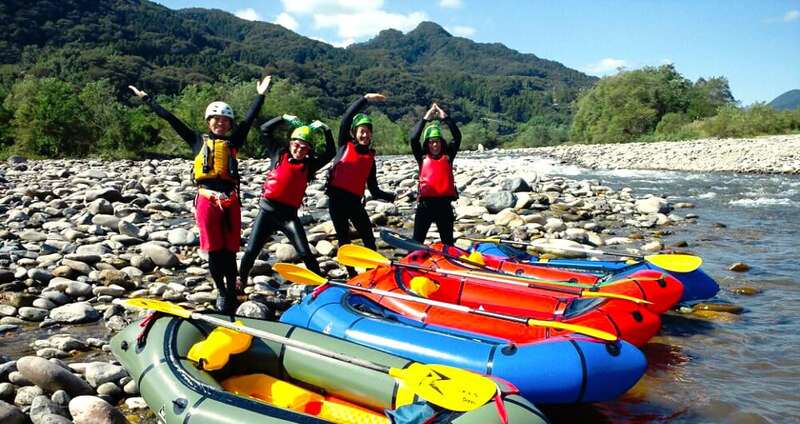 Unlike rafting, it doesn’t involve big cars to transport kayaks or rafts. Besides, you can choose your own starting point on the river. This is a fun activity that allows you a great amount of freedom, as you can have full mobility and flexibility: you can go as far as you want and then take a train back home! I propose to take you on a 1-day trip in Minakami, a town in the Gunma region, surrounded by beautiful mountains. It’s an ideal opportunity for beginners, as you will learn how to control and operate the rafts as well as actually rafting down a river. We’ll be rafting on Tonegawa river or one of its small branches. Here, you can find sections with different difficulty levels. However, we’ll be traversing parts with a Class 2 or so difficulty, because the main objective is for you to learn how to control the rafts. Ready to enjoy a packrafting adventure in Japan? Please get in touch with me! We can organize an individual trip or you can come with a group of friends. If you want to know more about this activity, don’t miss the story of three happy clients that joined me on a packrafting trip in Minakami. I can arrange a basic self catered dormitory style accommodation (an option for private rooms available) and/or pick you up / drop you off from nearby onsen towns (Takaragawa Onsen or Houshi Onsen). Must have: swimming wear, towel. Nice to have: rain jacket, goggles for people with glasses or contact lenses. Please be aware that this trip may be affected by changes in unforeseeable weather conditions. Moreover, depending on the client's health conditions, the guide may determine that the customer is not fit for the trip and may refuse customer participation. All participants must be insured in case of accidents. Please ensure you are insured with appropriate policy in particular that covers mountain rescue operations.